One of the most popular hunting firearms is being recalled. Remington is recalling 7.85 million of it's model 700 rifle nationwide. This follows a class action lawsuit be people who say the gun fires on its own without pulling the trigger. Reports say this is a problem that Remington has been aware of for years. 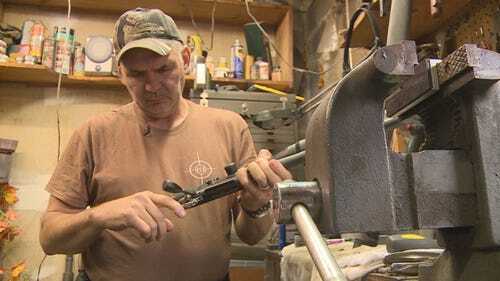 Bill VanFossan, of VanFossan's Custom Gunsmithing has worked with guns for decades, and has worked with hundreds of different Remington rifles. He says he has heard of issues from the rifle, where it shoots on its own, or when it is slightly bumped. Gunsmiths can fix this problem, but VanFossan recommends going with Remington's recall. "I'd also recommend sending it to Remington so they can put whatever it is they think they need to do into it," says VanFossan. Frontier Firearms carries Remington products. "We pulled all of ours off the shelves because the ones we did have were recalled. And we are sending them to Remington to have them repaired," says Richard Shanken with Frontier. They spent a day contacting everyone who has purchased the model in question. "Once the guns are sent back to Remington, they clean them, they will inspect them. They will repair them. Once that is completed, they will stamp the trigger mechanism and send it back to the customer," says Shanken. If you have a model 700 or model 7 Remington rifle, you can check if you are eligible for the recall be checking the company's website. Any rifle made past April of 2014 should have a stamp on the trigger, indicating it is not included in the recall.